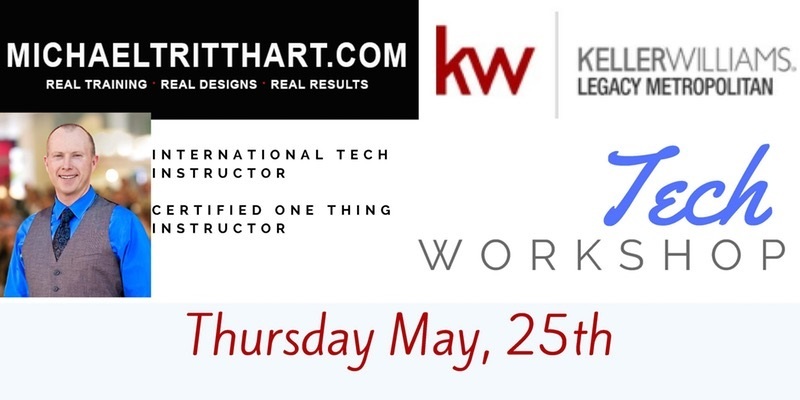 Come join Keller Williams Legacy Metropolitan for an awesome Tech Workshop with Michael Tritthart! Learn Facebook Lead Generating and Becoming a Google Great! He offers training, marketing tips and consultation designed to improve your business. Classes are taught in a user-friendly manner that is accessible for both wary computer users and experts. This workshop will train agents on how to properly engage potential clients on Facebook. As well as teach the subtle marketing features of Facebook that truly work for Real Estate. All of this is in a workshop mode, allowing agents to apply immediately. Learn numerous sites and tools, all from Google that will give you a marketing edge. Become a better search engine optimized real estate agent. Become… Google Great!